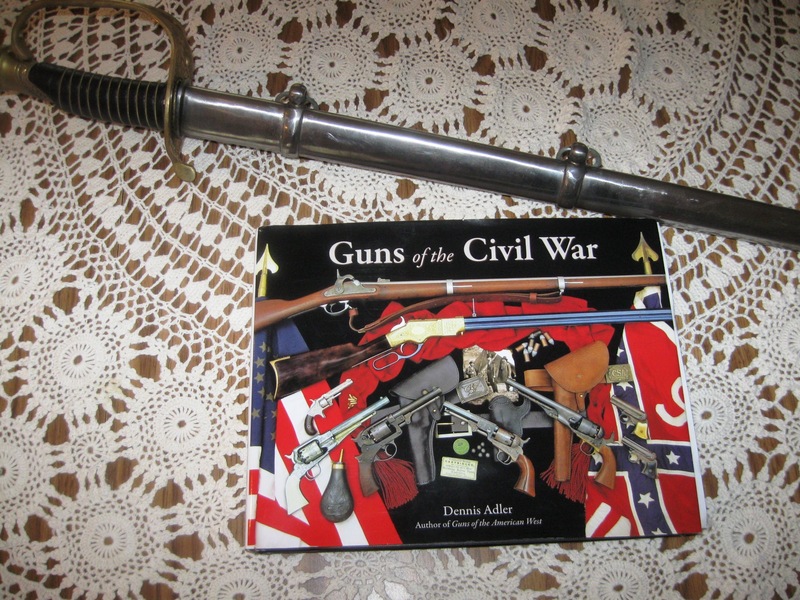 Author Dennis Adler has scored a major home run with his new book, Guns of the Civil War. Lavishly illustrated with hundreds of full-color photographs as well as period black-and-white vintage Civil War photographs. Checking in at a whopping 352 pages, this is a book that will certainly become a favorite reference work for Civil War buffs, miniature wargamers, gun enthusiasts, military historians, and anyone interested in learning more about the guns used by the various armies 150 years ago during the War Between the States. More than 620,000 men died in the war, with a third of them killed or mortally wounded on the battlefield. Rifles, repeaters, and smoothbore muskets were the chief instruments of destruction, and pistols were a popular choice for officers, cavalrymen, and others. Adler offers scores of photos of each major gun type, with most coming from private collections and many never before photographed for publication. 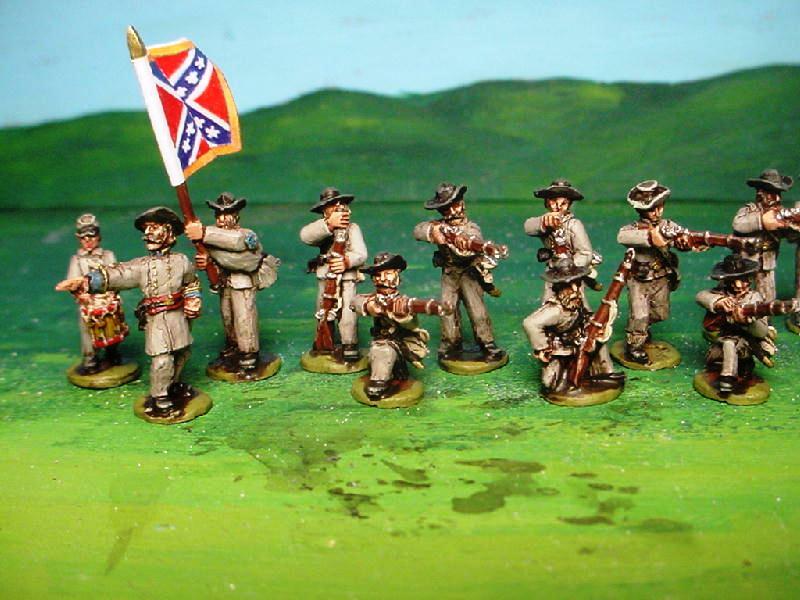 Gettysburg, Pennsylvania, wargamer John Mayer is a talented figure painter, terrain maker, gamemaster, and scratchbuilder. His 25mm models of Gettysburg buildings are terrific, and he has commercially sold 10mm Gettysburg structures in his side business, Round Top Miniatures. 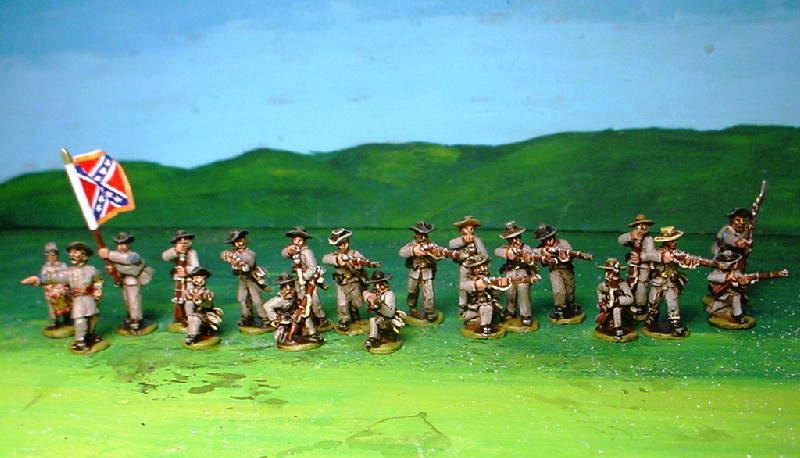 Recently John sent me some photographs of some of his nicely painted ACW Rebels. 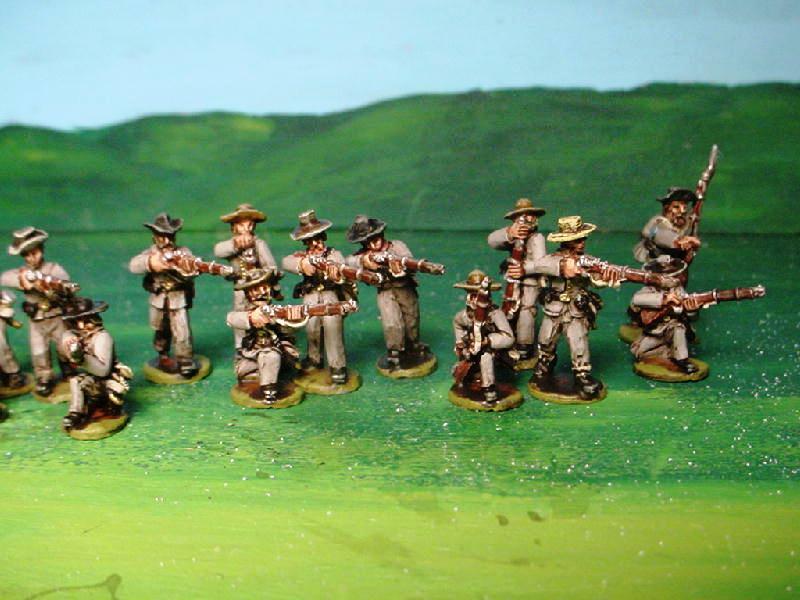 This is a regiment that anyone would be proud to set on his or her gaming table! Well done, John!